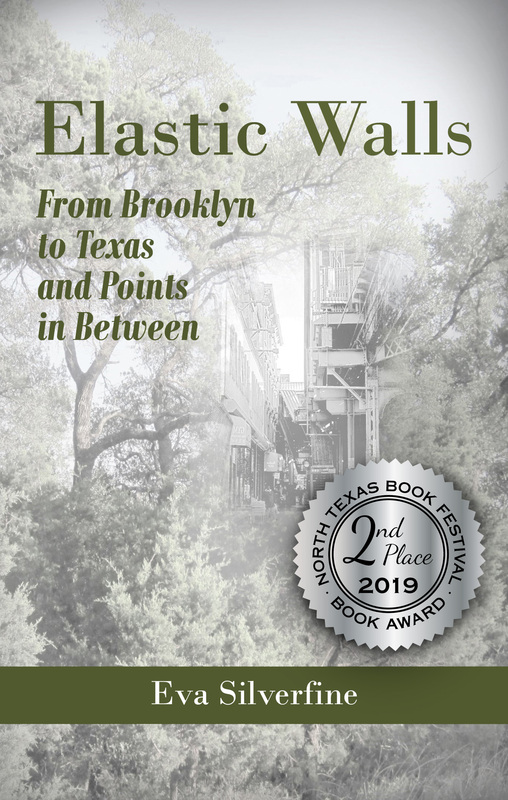 “Seemingly fixed, the walls of a house are really elastic, accommodating all sorts of things inside.” This collection of essays, a memoir-in-vignettes, travels across time and place, reflecting on homes, family, relationships, pursuits, religion, and loss. From a childhood living above her parents’ hardware store in the Bushwick section of Brooklyn in the 1960s; to an adolescence in the beach community of Rockaway, where the shifting sands mirrored her mother’s departure; to a young adulthood studying science until she remembered earlier aspirations of being a writer; to a parenthood raising two sons one mile down a gravel road in the Hill Country of Central Texas, Eva Silverfine explores that which is enduring among life’s impermanent experiences. Available from Amazon.com: Please click here to purchase. And if you are so moved, please leave a review at Amazon.com and/or Goodreads. A few words will do.